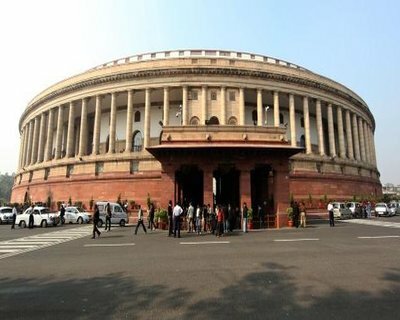 New Delhi : The government is likely to place the bill that seeks to replace the Medical Council of India (MCI) with National Medical Commission (NMC) before Parliament in the ongoing Winter Session. “The proposed National Medical Commission Bill, 2016 has been finalised by the Aayog and it is likely to be placed before Parliament for passage in the current session,” a source said. The bill has to be approved by the Cabinet after which it will be placed before Parliament, the source added. This comes despite the fact that the proposed bill has been met with strong opposition from many sections of the medical fraternity including Indian Medical Association, etc who have pointed out that the proposed bill takes away the autonomy and the democratic structure from the medical profession in election of its council. Earlier this year, a high-level committee headed by Niti Aayog Vice-Chairman Arvind Panagariya looked into the issue of poor regulation of medical education by MCI and proposed replacing MCI with NMC. The committee was formed to suggest reforms in the Indian Medical Councils (IMC) Act, 1957. It will have four boards Under Graduate Medical Board, Post Graduate Medical Board, Accreditation and Assessment Board and a board for registration of medical colleges as well as monitoring of ethics in the profession. Earlier this year, a parliamentary committee had called for revamping the MCI, saying it has failed in its role as a regulator which has led to a downfall in India s medical education system. The basic requirement of democracy is that professionals would be self-regulated by respective professionals only, in other words, an Independent Professionals like an Independent judiciary. According to that lawyers are regulated by Bar Council, Chartered Accountants are regulated by Accountants\’ council, Medical professionals are regulated by Medical Council, Sportspersons are regulated by respective sports councils.In all these councils the office bearers are elected by the respective professionals only.In each of the council\’s constitutions , government interference is strictly forbidden.Recall: International Olympic council debarred participation in Olympics of certain Indian sports events for alleged interference of Government in the election of the respective sports body.Could CAG be able to investigate 2G scam impartially, had not his registration as Chatered Accountant lied with an elected Accountants\’ council? Could a lawyer be able to stand up to state\’s wrongdoing, had his livelihood registration is with the Government, rather than with Bar Council? Similarly would doctors be able to write Medico-legal reports impartially without fear in cases involving government highhandedness if his registration lies with the government rather than with the an elected Medical council. Dear friend, please think. We can clean MCI , but cannot surrender it in the hands of the Government. very good move by our Central Govt,it will enhance our Medical education system of our country and all our graduates will be benefited and indirectly all our people also. MCI MOST CORRUPT MEDICAL COUNCIL IN WORLD NEEDED REPLACEMENT BY SOME OTHER HONEST ALTERNATIVE. IT IS HASTILY DONE WITH AN INTENT TO UNDERMINE SUPREME COURT APPOINTED LODHA COMMISSION\’S REPORT ON MCI ( PRESUMABLY COMING SOON), WHERE IT MAY BE PRESUMED THAT THE PANEL WILL CRITICISE HEAVILY NOT ONLY THE MCI BUT ALSO THE CENTRAL GOVT. FOR THE STATE OF AFFAIRS IN MEDICAL PROFESSION AND MEDICAL EDUCATION. IF MCI IS DISSOLVED, THE COMMITTEE WILL BE INFRACTUOUS. It is necessary to replace MCI, with More transparent ,accountable , honest and efficient. With the good things from the previous rules of the MCI. Eg like the surprise visits. I also suggest to MMC to encourage the views of the Faculty Members, students and even the supporting staff and ASWEL from the patients. Also to introduce biometrics attendedence both for staff and students.And it\’s a must STOP private practice with immediate EFFECT. The teachers who are in to private practice are of no use for the students and To the patients. Despite biometrics soon majority of them disappear from Hospitals to their private practice. Leaving poor patients to mercy of ill trained Doctors to suffer further. Wrong treatment is more dangerous than the disease. According my estimation 30 lakh patients die in our country due wrong diagnosis and mismanagement. Even for couple Deaths due Accidents the media creates lot of hue and cry blasting the same news again and again. But thousands of deaths take place due mismanagement by the Praticeners which is Not at reported in our country. This is my 10th year in the present MEDICAL COLLEGE, not a single autopsy been done. Do we need such teaching Medical colleges???. Right in the enterence of the hospital there is stinking DRAINAGE, next to it selling unhygienic food, tabocco products, urinating with out any fear, shame or guilt. Despite my complaints with photographs, vediographs the None them initiated any action till date. In fact they were making fun of me until recently. I am thankful to The Hon\’ble PM for his desire and determination to clean up FILTH with his swatch Bharth Abhain. And also legendary Amithab Bhchan for supporting the cause. There are so much TELL, it\’s quite late I am feeling sleepy. Come back to you later.God bless MY country. Jai kind.